The ancient science of acupuncture provides healing benefits to individuals who commonly suffer body and back pain. Using thin needles, certain body points are stimulated in order to release pain-killing chemicals into the muscles, spinal cord, and brain. These chemicals are responsible for countering the effects of pain by producing changes in your body that help promote a sense of well-being. Back pain is one of the top reasons people seek acupuncture treatment. Fortunately, there is acupuncture for back pain which helps those suffering from chronic lower back pain. In this alternative but effective treatment thin needles are used, inserting them to certain pressure points in your back and throughout your body in order to correct the imbalances and improve the flow of energy. After the treatment, you will be relieved of back pain and see other improvements to your health. Acupuncture treatments in Allamuchy, NJ do not only treat lower back pain. It can also be used to treat migraines, mood disorders, and even fertility issues. Often acupuncture goes hand-in-hand with chiropractic treatments to solve musculoskeletal problems that are unique to each patient. The procedure can only be done by a highly experienced and well-trained acupuncturist in order to ensure patient safety and satisfying results. To find out more about the healing benefits of acupuncture treatments, contact the Village Family Clinic. Massage therapy in Hackettstown, NJ can generate a multitude of wellness benefits. One of these benefits is the positive effect massage has on your blood circulation. Massage therapy improves this process so that blood more quickly transports nutrients to the essential organs in your body, especially to those regions that have been injured. Combined with conventional medicine, repeat sessions of massage therapy can also help accelerate recovery from injury or in providing relief from continual fatigue or discomfort. 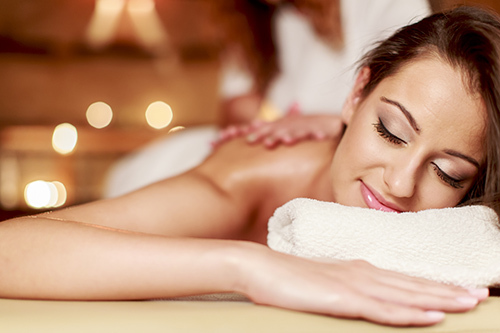 The benefits of full body massage therapy go beyond one hour spent relaxing inside the clinic. Massage is a safe and effective way to help you fight off tension that can be the root cause of illness in the body. Through massage you will be able to alleviate or relieve this tension, stopping the issues that are preventing you from feeling better. When you receive a full body massage, your massage therapist will use his or her hands to create sensations of gliding, hacking, kneading, pulling, and wringing your body which will help you relax and help your blood circulate. All of these strokes are performed from your head to your feet, front and back, directly stimulating the production of endorphins in your body. As a result, you will feel relaxed enough to bring you close to a state of sleep. This is another reason why a full body massage is a complementary remedy to other medical therapies. To find out more about regular full body massage therapy and its benefits, contact Village Family Clinic. Today, chiropractic care clinics can offer treatment that focuses on natural techniques for improving your health without the need for prescription drugs or undergoing expensive surgery. These are just two reasons why many people look for safe and effective alternative treatments for issues with body pain and joint dysfunction. For all types of mild and chronic aches and pains patients are now turning to chiropractic care. With the help of chiropractors in Allamuchy, NJ, you can find relief for pain that you are experiencing in your neck, shoulder, or back. Chiropractic care caters to people of all ages with sciatica, migraines, headaches, and even those with conditions such as fibromyalgia and scoliosis. It is also effective in helping you recover from sports injuries and even accident-related trauma. Chiropractic health care is considered a natural approach to overall health and wellness. It promotes the proper positioning of the spine in order to improve body functions and maintain an active lifestyle. Regular chiropractic treatment prevents subluxation, more commonly known as joint dysfunction, which results in discomfort and pain as well as a decrease in mobility. If you need to address joint dysfunction in the spine, neck or back, which keeps you from doing what you love to do in life, have yourself checked at the Village Family Clinic. Contact us for more details. Whole-body vibration therapy is a safe and effective way to maintain bone density and muscle mass. However, the positive benefits of this innovative new treatment actually address all types of different health benefits. >Vibration therapy in Hackettstown, NJ works by applying vibration to all of- or part of- the body. This increases cardio stimulation, which is why this therapy is widely used in sports medicine and rehabilitation. There are approximately 50 muscle contractions per second on the targeted area. During the treatment, you do not have to move; you just stand or sit on the machine. Vibration therapy uses advanced technology that mainly assists conditions such as arthritis, muscle strain, post-operation rehabilitation, and tendonitis, and muscle overuse injuries. The benefits of vibration therapy go beyond enhancing your muscles and bones. It improves the body’s performance, increases muscle tone, helps in weight loss, improves flexibility and range of motion, increases circulation, and reduces pain and stiffness, just to name some. Vibration therapy also helps increase circulation which distributes nutrients to all of your systems, and it increases lymphatic drainage which helps stop toxins from building up in your body. The vibration therapy can also help your body burns stored fat. A slower speed of vibration gives muscles more time to convert body fat into operational energy, regulating your appetite as well as your metabolism and blood pressure. In order to enjoy and maximize the benefits of whole body vibration therapy, contact Village Family Clinic. Cold laser therapy in Allamuchy, NJ is a relatively contemporary procedure that comes with several advantages to providing pain relief or pain reduction. It is one option among a variety of treatment approaches that is non-invasive. This means it does not require the use of drugs nor does it entail any surgical incision. While cold laser therapy for pain relief can be used alone as a treatment for body pain, it can work together with other alternative therapies as well. This low level laser can target acupuncture trigger points without the need for needles. Apart from offering a non-intrusive option to pain relief, cold laser therapy also provides a non-addicting treatment thereby eliminating the complications of long-term drug treatment alternatives. The cold laser produces an impulse of light energy units to damaged cells at a specific wavelength for maximized absorption of the energy at a desired depth. This is why this therapy is widely used for treatment of acute and chronic pain, arthritis, Carpal Tunnel syndrome, fibromyalgia, ligament sprains, muscle strains, soft tissue injuries, tennis elbow, and more. Cold laser therapy is safe and effective, easy to apply, and has no side effects. It is also cost-effective for the patient who need pain treatment. To find out more about cold laser therapy for pain relief, visit the Village Family Clinic. Recurring and long lasting back pain can be very disruptive to your life. It is important to find the safest and fastest way to treat it to improve your quality of life. Many people turn to spinal decompression therapy in Allamuchy, NJ. Spinal decompression works to relieve back pain by stretching the spine, changing its position and the forces that act on it. The benefits of spinal decompression include the removing of pressure from the spinal disks. These gel-like cushions between the bones in your spine often bulge or herniate as a result of receiving too much pressure. Through spinal decompression, the discs are able to retract, taking the pressure off the nerves and other parts in your spine. This therapy also helps promote the movement of oxygen, water, and nutrient-rich fluids which are needed by the spinal disks in order for them to heal, thus alleviating the back pain. There are two types of spinal decompression: surgical and nonsurgical. Most patients choose the nonsurgical route first. Nonsurgical spinal decompression uses motorized traction that aids in relieving pain in your back as well as in your neck, hips, buttocks, and the other adjacent muscles and joints. Nonsurgical spinal decompression also treats degenerative disk disease, posterior facet syndrome, and injured spinal nerve roots. During the treatment, you lay either face down or on an adjustable table which our qualified doctors operate in order to customize the treatment that fits your specific needs. To find out more about spinal decompression treatment, visit the Village Family Clinic. Having a full body massage on a regular basis is an effective way to help your body fight tension and stress which can be the cause of many illnesses. If you make the time to treat the soft tissues and muscles in your body with massage, you are actually maintaining your health and well-being at the same time. Massage therapy eliminates muscle tension and even helps relieve chronic pain. Massage therapy in Hackettstown, NJ stimulates the production of endorphins which promote relaxation. Through a full-body massage, you help your body perform better. The massage technique smoothes the individual and interrelated tissues in your muscles and increases blood flow. This results in a strengthened immune system, improved body posture, better blood flow and circulation along with many more benefits to wellness. Repeat sessions of full body massage therapy by a licensed therapist, combined with conventional medicine and other therapies, can actually help hasten the recovery time of injuries. Massage increases the blood circulation which facilitates the distribution of the nutrients throughout the body that are needed for faster repair and renewal of cells and tissues. To find out more about the excellent therapeutic experience of a full body massage, visit the Village Family Clinic. Acupuncture is a great alternative for pain management and treatment. It is particularly helpful for people who have musculoskeletal problems. There are many types of pain that people experience in their lives, and there is some pain that cannot be understood. The tiny needles used during acupuncture treatment stimulate certain points on your body to release endorphins and other natural pain relievers which encourage healing. This is why acupuncture is often the choice of treatment for those patients with chronic pain. Acupuncture for the treatment of pain has also been proven to improve the blood circulation to different parts of your body. Acupuncture is a type of pain treatment that is safe for the rest of your body. Unlike narcotic pain killers or reduced activity, acupuncture keeps you from harming the rest of your health in order to relieve your pain. Because it provides treatment to your body as a whole, acupuncture has a proven track record of safely and immediately alleviating pain as well as effectively avoiding similar pain in the same area of the body in the future. As a result, acupuncture is currently combined with other available chiropractic services in order to achieve more relief and relaxation, thus the birth of Acupuncture in Allamuchy, NJ. To find out more about acupuncture procedures, visit the Village Family Clinic. There are many benefits to having a full body massage. Because it involves the rubbing and manipulation of ligaments, muscles, tendons, and skin, a massage reduces the effects of stress in most people. Aside from this, massage provides relief from pain and stiffness; it also results in increased circulation, improved immune system function, and better skin. Massage has moved beyond the walls of your favorite spa into a medical setting. The massage therapy in Hackettstown, NJ can help manage or reduce the symptoms of anxiety and depression. After each session, you will benefit from better sleep, enhanced concentration, increased energy, and less fatigue. While having full body massage therapy, endorphins which are hormones that act as a pain reliever are released. Muscles that have long been overworked will be able to relax and soften as a result of massage. A massage also assists in the circulation of oxygen and nutrients allowing it to reach more tissues and organs in your body. This results in better performance and stronger immunity protection. Apart from stimulating the endocrine system and the lymphatic system, a full body massage also stimulates blood flow to improve your skin’s health and appearance. To find out more about the multiple benefits of full body massage therapy specifically for your health and wellness, visit the Village Family Clinic.